Have you ever had the thought while eating a less-than-inspired meal, (prepared by your hand), "I wish I was a better cook." Perhaps your husband thanks you for the food you concoct, but never raves about it like you wish he would? Do your children (and dinner plates) cry, "Not this again!!" Friends, the solution to these problems doesn't have to be several years of culinary school. If you are cooking at least one meal a day, you are already putting in the time it takes to improve your skills, and to produce delicious meals that will peak you family's interest and appetite. Tip #1: Get comment happy. 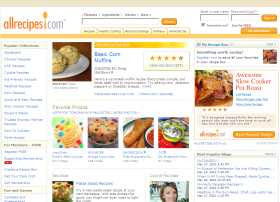 When choosing a recipe from an online food blog or website (such as www.allrecipes.com - one of my personal favorites) read the comments! Taking the time to do this is like getting free cooking lessons. You have hundreds of food alteration possibilities lined up in one simple queue - just waiting for you to read and consider them. Do. You'll be surprised with what you learn. Tip #2: Integrate substitutes - on purpose. It is a common occurrence in my kitchen, to realize that I lack an important ingredient. Instead of fretting, I try to see it as an opportunity to learn more about how food works. (Not having any buttermilk around once taught me that I could sour my own - with one cup milk and one tablespoon vinegar.) Beyond the emergency substitutions though, you should really consider substituting ingredients from your recipes on purpose every now and then. If your meal calls for pasta - try substituting spaghetti squash. If it is usually served over rice - try it over couscous, (red) mashed potatoes, Quinoa, or lentils (or a combination of these). Refried beans - try black or pinto. White flour - try whole wheat, or half white/half whole. Ground beef - try ground turkey, pork, or sausage. If there is an ingredient, there is a substitute for it. Type in "Substitute for. . ." in any search engine and the endless possibilities will practically throw themselves at you from your computer screen. Tip #3: Find new recipes for meals that you and your family already enjoy. Like enchiladas? Spaghetti? Tacos? Pizza? Take a few minutes to search online recipes (or your dusty cookbooks) for meals that your family already eats on a regular basis. Reading about and trying the different variations on your comfort food favorites will help you to greatly expand your dinner repertoire. Tip #5: As Toucan Sam would say, "Follow your nose!" Become well acquainted with ALL the spices and herbs in your kitchen - especially the unopened ones with names you're unfamiliar with. As you are seasoning your meals, smell around your spice rack and add seasonings that smell good with what you're cooking. With this tip comes the additional advice to taste your meals as you cook/season them whenever possible. Doing this often will help you develop a sense for how much of a given spice or ingredient you should add to create rich interesting flavor. If you acutely develop this skill, you can take any meal from average to amazing. How do YOU think outside your recipe box?